Every plant has special wave and fragrance. Psalm, chant, gemstone and donation depend on it. Planting and serving trees is easiest way to control planets. Special trees are planted to control wave of planets. Trees can be planted in two ways. One is according to planets and second is requirement. Planting trees without any reason may create problem in life. 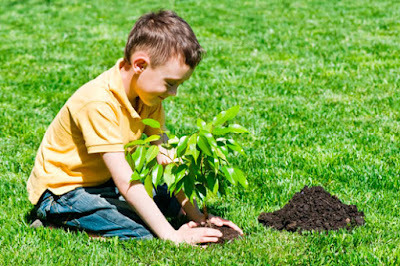 Do not plant trees in front of main gate of the home. Plant trees in brahm muhurt or dusk. Do not plant milky and throne plants. The shade of trees cannot be fall on home. Do not plant trees without flower, fragrance or fruits. Never plant banana tree in front of main gate of home. Daily pour water in trees. Worship the plant on related days. Sun – Plant madar tree around the main gate of home. Moon – Plant sandalwood or bela behind the home. Mars – Plant Amla tree in the middle or behind the home. Mercury – Plant durva tree at any place in the home. Jupiter – Plant banana tree behind the home. Venus – Plant harsingar or parijaat behind the home. Shani – Plant shami tree around the main gate of home. Rahu-Ketu – Plant basil tree in the middle of the home. Daily pour water in madar tree. Do tilak on it on Sunday. Keep bela and sandalwood tree clean. Light lamp under it. Chant Mars psalm sitting under it tree. Sort out the durva. Offer few durva to Ganesha. Daily pour water to banana tree. Chant Jupiter psalm sitting under it. Clean harsingar tree. Keep its flowers in bedroom. Light mustard oil lamp under shami tree on Saturday. Light ghee lamp under basil plant on every evening. However, do not light it on Sunday evening. Good Luck: Do not keep milk and throne plants. This affects the happiness and peace of the home.